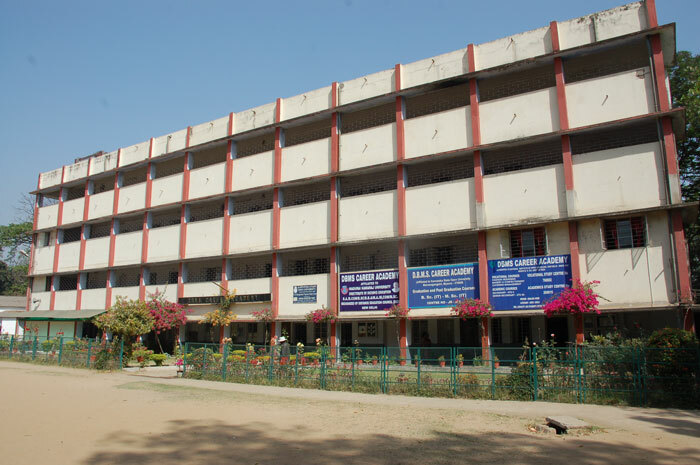 The National Institute of Open Schooling (NIOS) is an autonomous organization that was established by the Government of India in November 1989. NIOS follows a student-centered method of teaching through Open and Distance mode. It offers a wide range of subjects in comparison to any other formal school. The learners are free to choose subject combination based on their needs. The students study at their own pace from specially designed self-instructional materials. This learning is supplemented by audio-video and face to face contact classes which are held at the study centers on holidays and weekends. The students have freedom to appear in examination in their subjects one by one as per their preparation. The registration is valid for five years. NIOS operates through a network of five Departments, eleven Regional Centres and 2945 Accredited Institutions (Study Centres) in India and abroad, of which D.B.M.S. Career Academy is one. It has a current enrolment of about 1.5 million students at Secondary and Senior Secondary levels which makes it the largest open schooling system in the world. Secondary Course-Equivalent to class XII Sr. Mathematics, Science and Technology, Social Science, Economics, Business Studies, Home Science, Word Processing (English), Psychology and Bharatiya Culture & Heritage. Mathematics, Physics, Chemistry, Biology, History, Geography, Political Science , Economics, Business Studies, Accountancy , Home Science, Word Processing (English), Psychology, Computer Science, Sociology and Painting. In order to make the NIOS courses more meaningful, vocational courses are offered independently or in combination with academic subjects at the secondary and senior secondary levels. The Karnataka State Open University, Mysore is a pioneer in the sphere of distance education in India. For an institution whose very building blocks are Openness and Universality, nothing more Open and more Universal could have happened than this worldwide website. Karnataka State Open University is a recognised University of Distance Education Council (DEC), New Delhi, regular member of the Association of Indian Universities (AIU), Delhi, permanent member of Association of Commonwealth Universities (ACU), London, UK, Asian Association of Open Universities (AAOU), Beijing, China, and also has association with Commonwealth of Learning (COL). Offering need-based academic Programmes by giving professional and vocational orientation to the programme. Providing opportunities to study according to one’s own pace and convenience. Providing opportunity to study from one’s own chosen place and pace. Masters: M.Ed M.A./M.Com, M.LI.Sc., M.B.A., M.Phil. D.B.M.S. Career Academy is a centre of the Directorate of Distance Education of the Madurai Kamaraj University. Students in Jamshedpur can enroll here for a range of Bachelor’s, Master’s degrees and even diplomas from this university recognized and funded by University Grants Commission. In addition to the regular Arts, Science and Commerce courses at both Bachelors and Masters levels, there are options in Information Technology and M.B.A. available to students. Madurai Kamaraj University is a Statutory University, established in 1966 by Govt. of Tamilnadu. It has been reaccredited by NAAC with grade A. The Directorate of Distance Education of this university was established in 1971 and has a student strength of about 1.20 lakhs. There are 34 Spot Admission Centres and 77 Study Centres outside Tamilnadu across the country and 12 Study Centres outside the country. The degrees awarded by it are recognized by the U.C.C. Recently this University was accorded the status of "University with Potential for Excellence" - A status conferred by University Grants Commission so far on 9 such Universities in the Country. To open the doors of education to the drop-outs and the ones who are denied admission in formal educational system. To spread the beam of wisdom right from Jawans to Jail prisoners. Those who have discontinued their studies under semester or non-semester in any university may continue with year exemption. Those who want to study an additional degree may also do so. Students who are diploma (3 Years) holders through Polytechnics may also join in the degree courses. Tuition Fee exemption for blind, deaf and dumb.